Love them or hate them, you cannot deny that they are a force to be reckoned with. 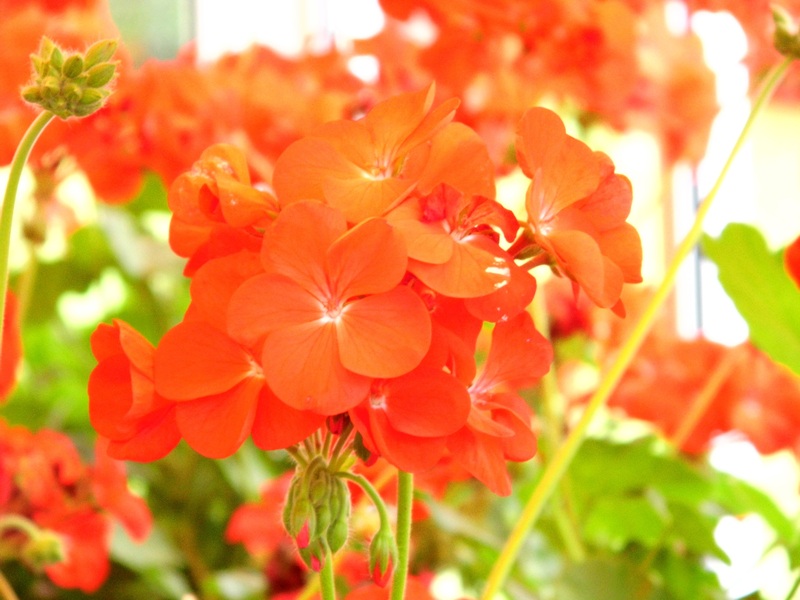 They are often referred to as geraniums but the true name for these summer shiners is pelargonium. Traditionally used in this country as a summer bedding plant, and much beloved of municipal displays, they are often thrown on the compost heap at the end of the season. In fact they are tender perennials, with most of the species originating from southern Africa. Who knows what this winter will bring? Another mild one and they may survive outside to grace our borders for another season, a harsh one and they will turn to mush. If you have the space you can pot them up and bring them inside for winter hibernation. Keep them frost free and dry and when it begins to warm up next year give them a good feed and drink and they will spring back into action (food and drink has a similar effect on me!). Personally I am in the “love them” gang, especially the ivy leaved trailing varieties, vibrant zonals and understated species. All you “hate thems” don’t what you’re missing, come on join us on the Pele Side!